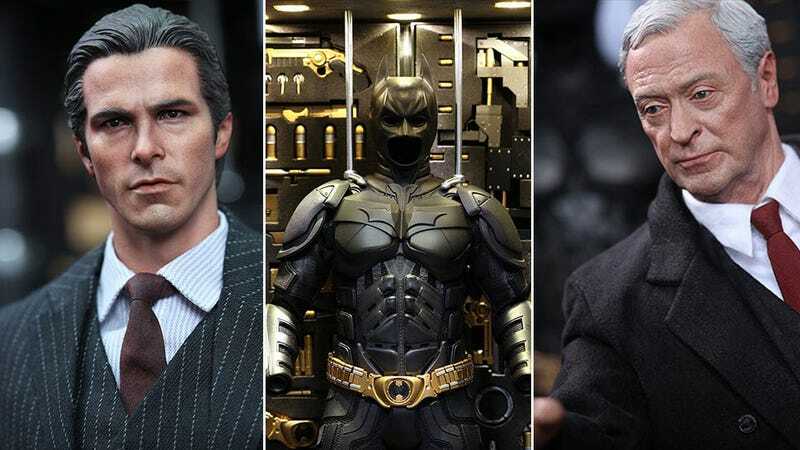 Just when you thought Hot Toys couldn't make a better Batman action figure, along comes a better Batman action figure. I don't know what to get more excited about with this new "Dark Knight Armory" piece by the Hong Kong-based toysmiths. Maybe it's the fact it comes with Bruce Wayne, who is looking sharp. Maybe it's the fact it comes with a Batman figure, along with what looks like 117 billion accessories. Or...no, it's definitely the fact it comes with a highly-detailed Alfred. Because a lifelike Michael Caine action figure is all we ever needed. Because this thing will costs hundreds, it's going to be available in three flavours: one with just Batman, one with Batman and Alfred, and one with all three figures. No word on a release date or price, but "2014" and "more well than you can imagine" are safe bets.